Does anyone yet have the complete final career stats of Dirk. @AndrewDBailey: Dirk Nowitzki finishes his career with 31,560 career points, sixth all time. @AndrewDBailey: Dirk Nowitzki scored 3,663 career playoff points, 16th all time. @AndrewDBailey: Dirk Nowitzki finished his career in 8th place in career Win Shares & 14th place in career playoff Win Shares. Combine regular & postseason WS & Kareem Abdul-Jabbar, Wilt Chamberlain, LeBron James, Karl Malone, Michael Jordan & Tim Duncan are the only players ahead of Dirk. @AndrewDBailey: Kareem Abdul-Jabber once called Dirk Nowitzki a “one-trick pony.” Here are Dirk’s playoff numbers compared to Kareem’s. @AndrewDBailey: Dirk Nowitzki avg'd 25.3 PTS & 10 REB in 145 playoff games. The only players in NBA history with 500+ playoff minutes, 25+ PTS/gm & 10+ REB/gm: Dirk, Hakeem Olajuwon, Elgin Baylor, Bob Pettit & Anthony Davis. Dirk leads that group in playoff Win Shares. So, yeah. Combining 2nd and 3rd place is still 304 threes short of Dirk. @AndrewDBailey: The Spurs are the only team with a better record than the Mavericks over the course of Dirk Nowitzki's career. @AndrewDBailey: Dirk Nowitzki made his NBA debut in 1998. @AndrewDBailey: Sort every NBA player with 5K+ MIN since 1983-84 by the average of their ranks in available catch-all metrics and Dirk Nowitzki is No. 17. @AndrewDBailey: Shout out to Holger Geschwindner too. His work with Dirk Nowitzki helped change basketball. They showed the world that big guys can shoot. That opened the floodgates. Now, almost everyone is expected to have almost every skill. The game's more fun than it was 21 years ago. @AndrewDBailey: Even if you go with a FIFTEEN-year peak for Dirk Nowitzki, it's not far off the 5- or 10-year peaks. Last edited by Underdog; 04-11-2019 at 12:38 PM. I've seen a bunch of stories like this lately, which just goes to show how much Dirk impacted our lives... Excellent read, thanks for sharing! appreciate it! I have the same feeling. Just shows how great of a character Dirk is. Fish's Dirk story. Made me tear up a bit. Easiest player/person to root for ever. Dirk welcomed home to a water cannon salute at Love Field. Reunion Tower was also lit up like the German flag. Awesome stuff. Oh, wow. I saw the video of the water canon salute from outside the plane, but the video with Dirk in the cockpit is fantastic... He's absolutely exhausted, but he watches salute with the pilots, talks to them for a bit, then takes a picture with them -- when he probably could have just looked out the window from his seat. Just a stand up guy. Ummmm where can I buy that as an actual book. Yeah, the best. Great stuff! @MrChrisArnold: @mcuban tells @fishsports he's working out details & beginning the process to try to give @swish41 a minority ownership share in @dallasmavs! So is it time to unpin this thread from the top of the page and move on? Three people that are nails on chalkboard..
Chris Arnold, Fish, and Mark Cuban... you could have topped it off by throwing in Skin Wade. Maybe this should be a poll. I personally think it should stay pinned but I could get out-voted. I am so lucky. I had season tickets for 25 years, including Dirk's career through the finals. I always said "I'm gonna keep buying these until we get a championship." Once we did, I retired in August of 2011 and moved to the mountains. But I was lucky. I was in Reunion when we beat Utah and returned to the playoffs after the bleak decade. I was there when Dirk and TMack had their shootout, and when Dirk got hurt in the playoffs against SA. I saw Tim Thomas blow Dirk that kiss and the 50 point barrage that followed. I was in tears in a hotel in South Carolina when we lost game six to Miami...I had a game 7 ticket in my wallet. Maybe the best game I saw was in San Antonio, and the Mavs lost...but it was so intense, JTerry tried to punch Mike Finley in the cajones. The lowest point was losing to Golden State, and watching Dirk have to accept the MVP trophy at a news conference. But like most of you, I never lost faith. Even as they traded away everyone except Jet, I always knew Dirk would pull us through. I was reminding a more casual fan that to win the championship, we swept the back to back champion Lakers, and beat them down so hard they have yet to recover. Then to take out OKC, featuring their big three, including 2 MVPs and Westbrook, who now averages a triple double. Then of course Miami, and 2 more finals MVPs. And Dirk did it without anyone on his team as good as any of the Heat or the Thunder's big three. It was 2 decades of pure basketball, all possible because of one guy. There will never be another like him. I am so lucky to have been there in the presence of Dirk. Thank you, big guy. Nope. Dirk deserves forever to be pinned. Joke's on you guys -- this thread has NEVER been pinned, not once since I've been a mod... 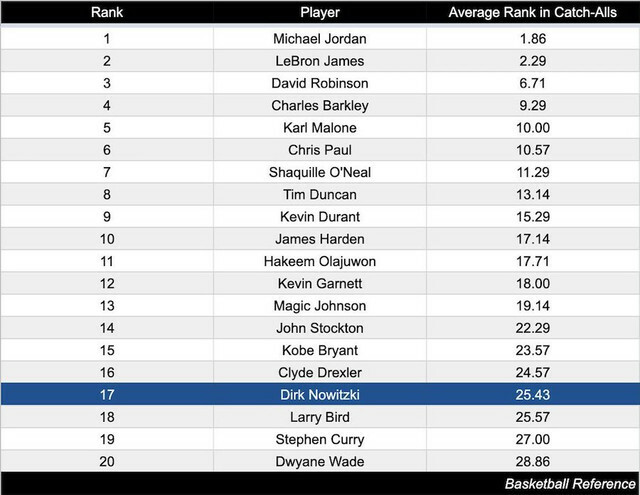 It just stays at the top because Dirk is great. Dirk crying makes me cry. So gratifying to have him be acknowledged by those he looked up to. Obviously I was joking. Dirk will find a way to be even greater in retirement. Awesome post. Definitely hills, valleys, and finally the mountain top. What a ride! Love Dirk, and wish him the best. I am so going to miss him. As much fun a Luka is going to be, it will never be the same without Dirk. That's not bad, just different. Last edited by turin; 04-13-2019 at 08:53 AM. BERLIN (Reuters) - Retired NBA champion Dirk Nowitzki, who spent 21 seasons at the Dallas Mavericks, could see himself returning to basketball as coach or manager in a few years time, the German said. "But my body was not good. To be honest my foot where I had surgery last year was not well throughout the year. I knew it would not be getting any better." Last edited by Skywalker; 04-17-2019 at 06:18 AM. Coach Nowitzki... That has a nice ring to it.